The battle for bandwidth could affect your portfolio. NEW YORK (TheStreet) -- The war has been raging over net neutrality since the U.S. Court of Appeals in the District of Columbia struck down the FCC's network neutrality rules for cable service providers in January. One week later, Netflix (NFLX - Get Report) issued a letter to its shareholders, explaining "In principle, a domestic ISP now can legally impede the video streams that members request from Netflix, degrading the experience we jointly provide." It's hard to say how actual costs will be borne out. More than likely, it will be a mixture of increased costs to consumers and increased costs to streaming television subscribers to offset companies like Netflix paying a "toll" for uninterrupted streaming service. But there is additional cost here -- your portfolio. Over the last month, shares in Netflix have plunged from a high of roughly $455 per share to around $337 at the close of trading Friday -- and that change is only going to increase as the battle over net neutrality continues. Share prices are less volatile in Comcast (CMCSA - Get Report) and AT&T (T - Get Report) -- Comcast went from a high of $52 to a low of $49 before ending around $50 Friday while AT&T gained, moving from $32 to $35 over the last four weeks -- but that doesn't mean it's over. Both Netflix and AT&T are acknowledging that existing networks are at capacity. Netflix may be growing subscribers, reporting 44 million at the end of 2013 and expectations of 48 million by the end of first-quarter 2014, but then what? If Netflix subscribers start having to deal with buffering, how long will it be until they go back to cable? Or perhaps go into on demand cable services, like the sort rumored to be brewing between Comcast and Apple (AAPL - Get Report)? When your cable provider is the same company as your Internet provider, anything can happen. "In the long-term, we think Netflix and consumers are best served by strong network neutrality across all networks, including wireless," continued the Netflix letter to shareholders. "To the degree that ISPs adhere to a meaningful voluntary code of conduct, less regulation is warranted. To the degree that some aggressive ISPs start impeding specific data flows, more regulation would clearly be needed." A few weeks later, the streaming television provider struck a landmark deal with Comcast to ensure Netflix subscribers would be able to continue enjoying fast speed and smooth access to the service. Netflix CEO Reed Hastings was ultimately criticized for the move. These criticisms prompted the executive to write a blog post that touted Netflix's ultimate desire for net neutrality while essentially explaining why the company had no choice but to pay for better connection if it was going to protect its viewers' experiences. In that post, Hastings names AT&T and Comcast specifically, saying "The essence of net neutrality is that ISPs such as AT&T and Comcast don't restrict, influence or otherwise meddle with the choices consumers make." Hastings continued, "Once Netflix agrees to pay the ISP interconnection fees, however, sufficient capacity is made available and high-quality service for consumers is restored. If this kind of leverage is effective against Netflix, which is pretty large, imagine the plight of smaller services today and in the future." AT&T hit back in its own blog, explaining that networks have to build additional capacity to handle the higher volume traffic as well as the larger bandwidths streaming video content, like Netflix and Google's (GOOGL - Get Report) YouTube, require. ATT's Jim Cicconi, who heads the company's public policy team, wrote that the cost of more bandwidth is tantamount to delivery costs: "Mr. Hastings blog post then really comes down to which consumers should pay for the additional bandwidth being delivered to Netflix's customers. In the current structure, the increased cost of building that capacity is ultimately borne by Netflix subscribers. 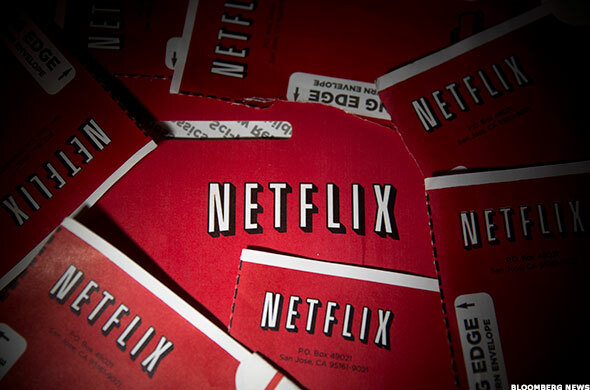 It is a cost of doing business that gets incorporated into Netflix's subscription rate. In Netflix's view, that's unfair. In its view, those additional costs, caused by Netflix's increasing subscriber counts and service usage, should be borne by all broadband subscribers -- not just those who sign up for and use Netflix service." Cicconi ended by saying, "As we all know, there is no free lunch, and there's also no cost-free delivery of streaming movies. Someone has to pay that cost." Cicconi is right, of course, someone has to pay, but in the end it could end up being you. The battle for net neutrality is really more of a war, and there are bound to be casualties. Buyer beware. TAt the time of publication, Butler held no positions in any of the companies mentioned.